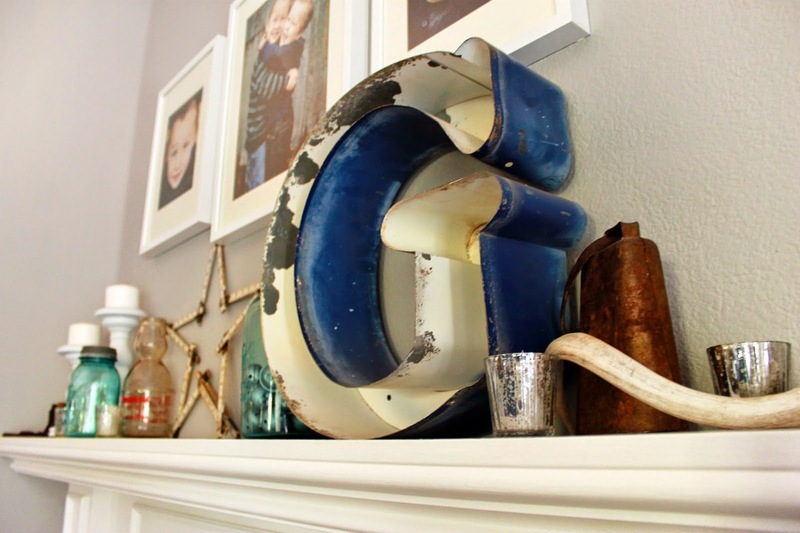 Before we talk about paint, lets talk about moulding. 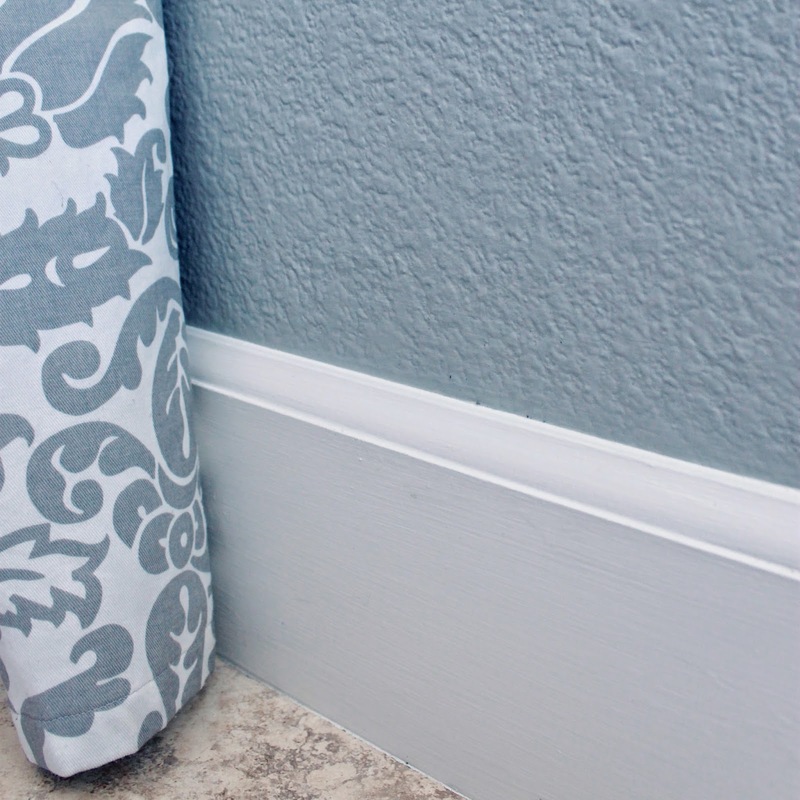 The previous owner installed tall baseboards in our home to replace the short, builder basic. Yay! Thank you, previous homeowner! 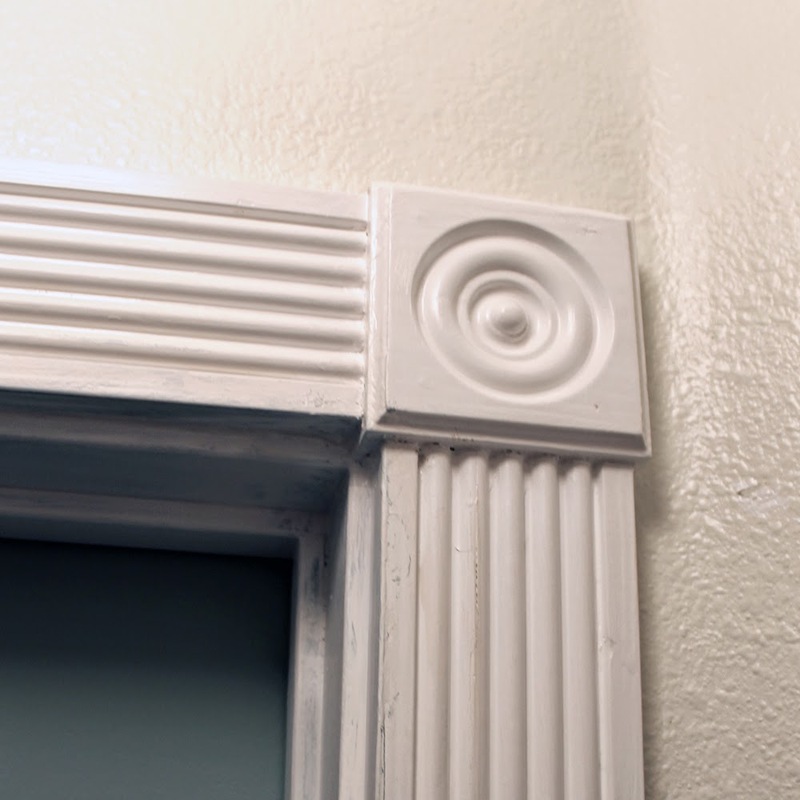 They also "upgraded" all of the door trim with fluted casing and rosettes. 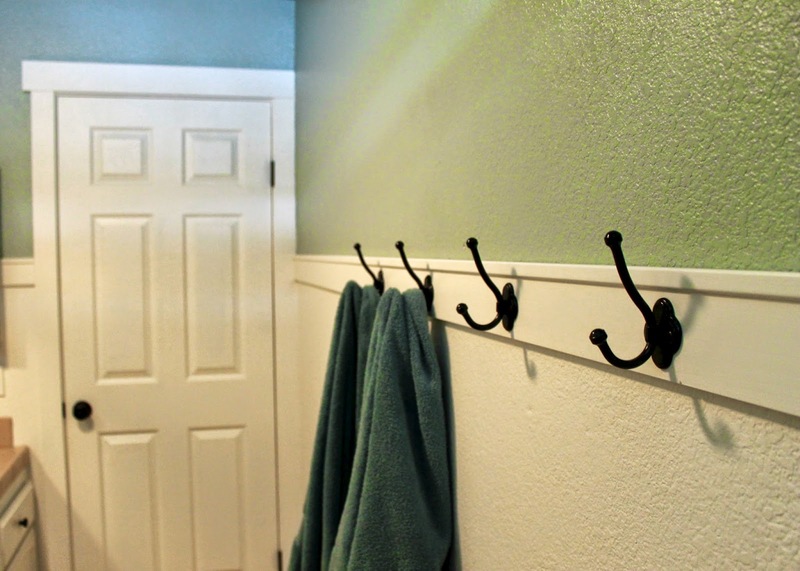 My husband and I ripped out that molding much to the dismay of most people who saw it and liked it. It reminds me of Victorian meets 1980's. Sorry, not a fan. We wanted a more turn of the century look. We kept the tall baseboards and plinth block in place (we liked that piece!) and made our own case moldings for the doors by ripping MDF sheets to size. We used 1/2" thick, 3" wide pieces for the vertical casings. For the top horizontal piece, we used a 3/4" thick, 4" wide piece to add dimension and character. 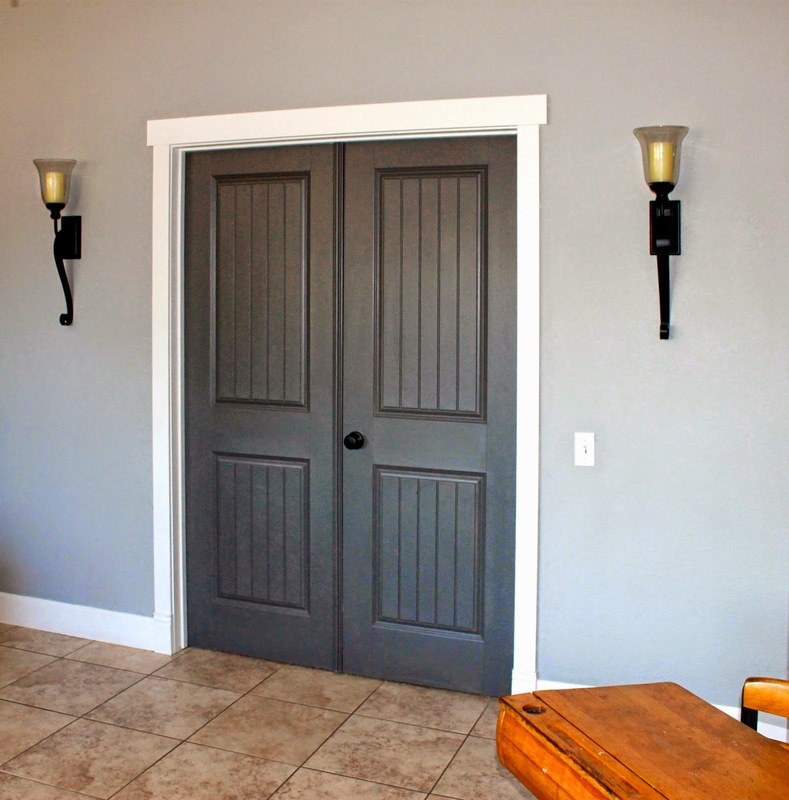 I've painted my doors and trim in the main living area a few times since we moved in….not fun…and finally settled on a color that I like. White. They started out white, but I thought I wanted something different. I made 3 failed attempts of color (brown, dark green, charcoal) then eventually I painted the baseboards and trim white…again. I can't complain though. 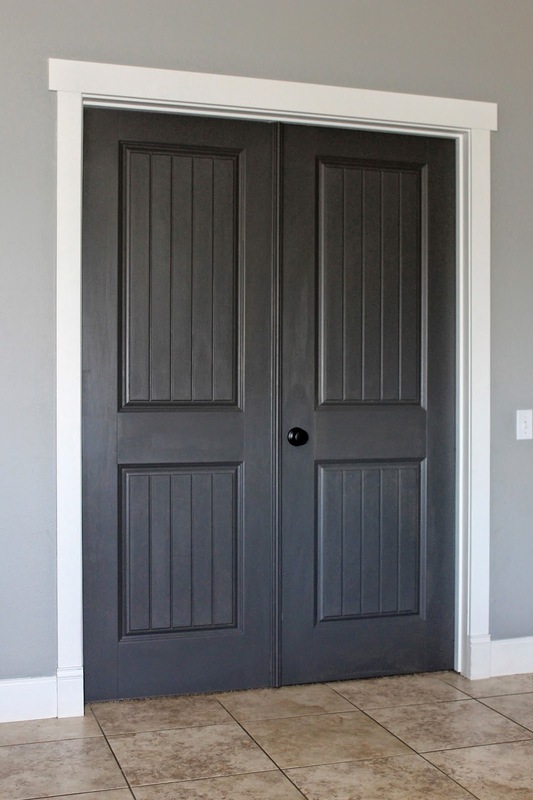 Because of my many paint choices, I realized how much I like dark doors with white trim. 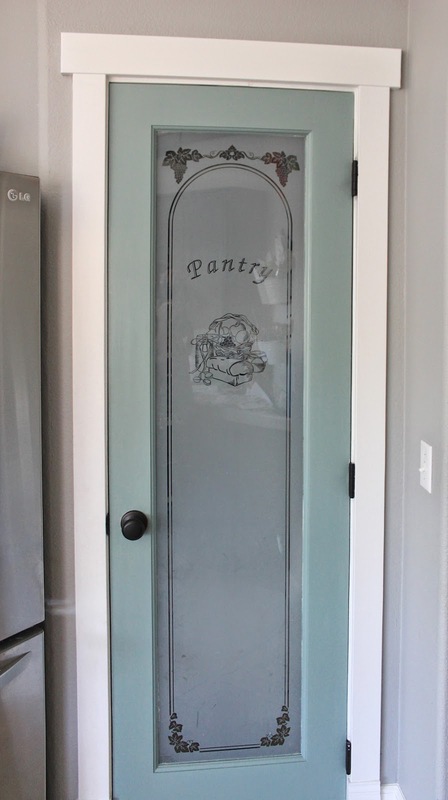 I'd seen this online in a few homes, but didn't think it was for me until I accidentally gave these doors a similar look. 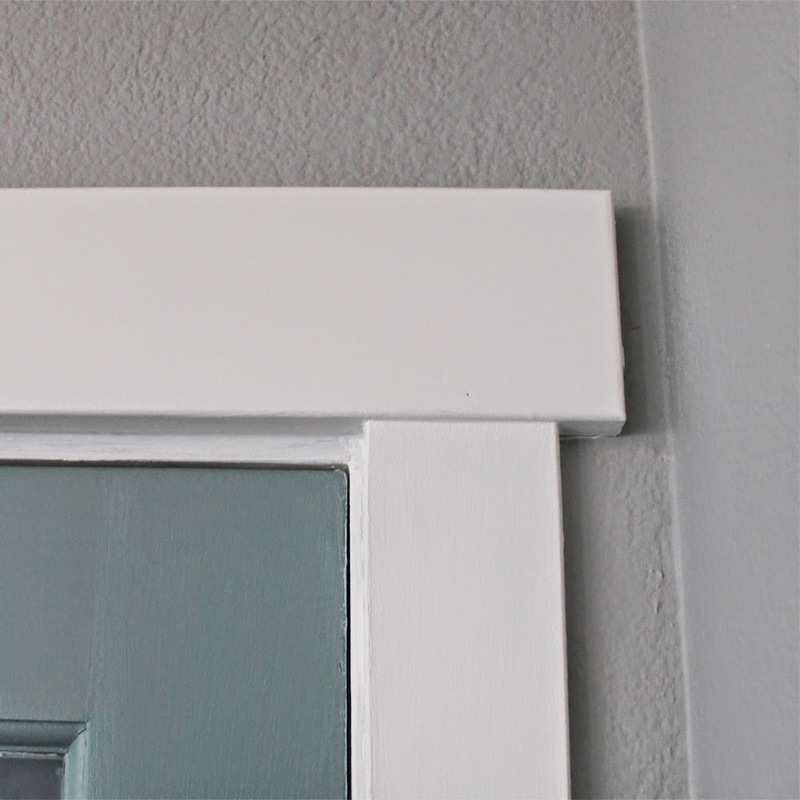 After changing the baseboards back to white, I then painted the door casing white. Next on my list was to paint the doors white. But WAIT! I loved how the charcoal gray doors looked with the white trim! It was a "happy accident" that I am very pleased with. It's not quite as bold and daring as the black doors and white trim, but I love the combination of white, gray and charcoal! 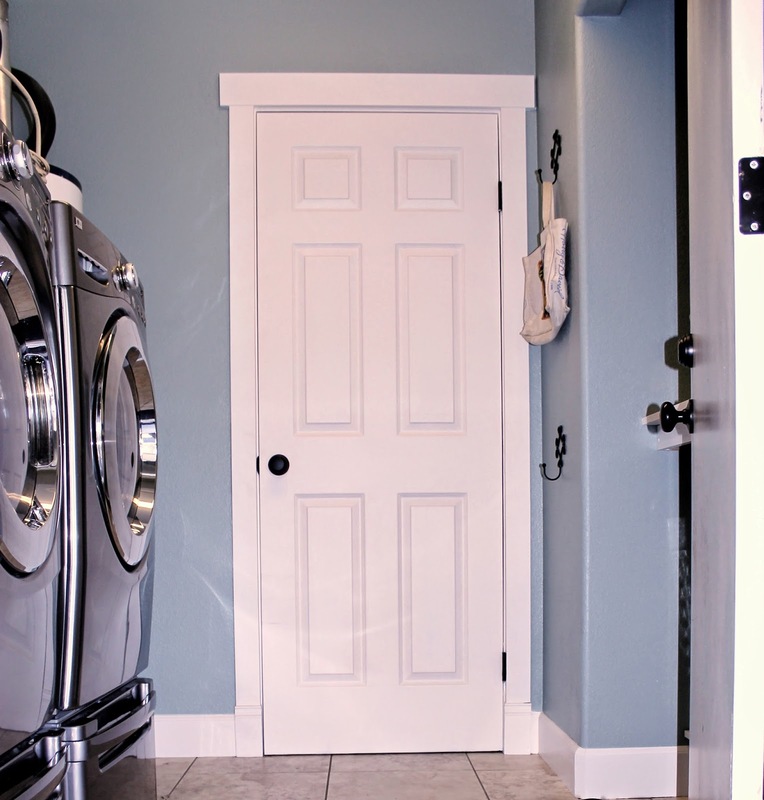 In the hall bathroom and laundry room, I painted the inside of doors white to better suit the small space. 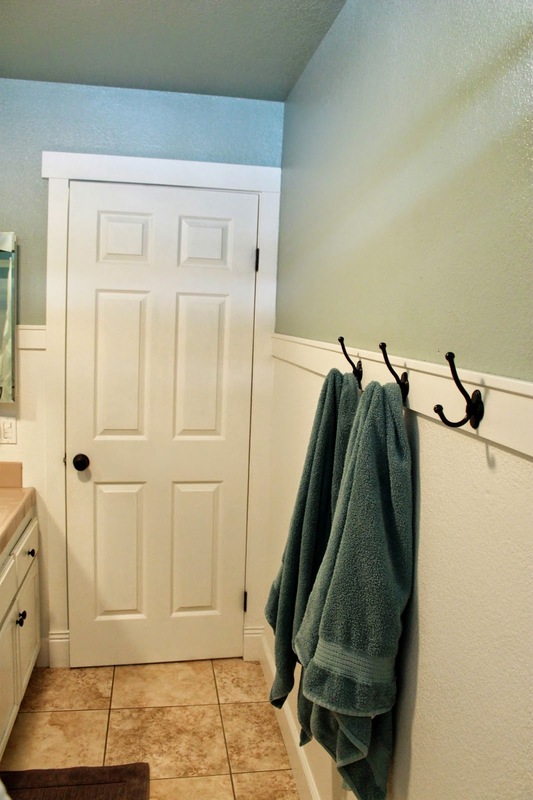 And the painting continues… more doors and trim on the list of uncompleted projects!